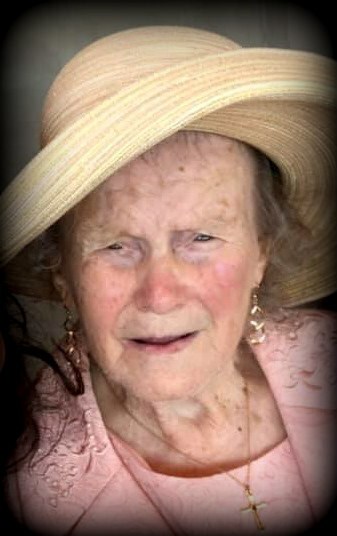 Mary Mildred Brock, 89, of Norton Shores, passed away Wednesday, March 27, 2019 at home surrounded by family. She was born September 12, 1929 in Manila, Arkansas to the late Earnest and Lucety (Black) Phillips. She married Robert Brock on June 1, 1947 in Blythville, Arkansas. He preceded her in death on July 31, 1991 after 43 years of marriage. Mary was an active member of Calvary Missionary Baptist Church of South Haven where she sang and played guitar. She enjoyed spending time with her family, sewing, and crocheting. Mary will be lovingly remembered and missed by her children, Mary Ann (Darrell) Foxworth of South Carolina, Charlotte (Larry) Padgett of South Carolina, Katlin (Tom) Dykstra of Muskego, and Robert (Anita) Brock of Spring Lake; nine grandchildren; 16 great-grandchildren; two great-great-grandchildren; and five sisters, Velma Blair, Lou Montgomery, Betty Ellis, Joyce Covey, and Barbara Ellis. She was preceded in death by five sisters, two brothers, and her husband, Robert. The Funeral Service for Mary will be at 11:00 A.M. on Saturday, March 30, 2019 at the Filbrandt Family Funeral Home in South Haven. Pastor Larry Phillips of Calvary Missionary Baptist Church will be officiating. Visitation will be held one hour prior to the service at the funeral home. Interment will be at Chambers Cemetery, Geneva Township. Memorial contributions may be given to Harbor Hospice or Mary Mildred Brock Memorial Fund.